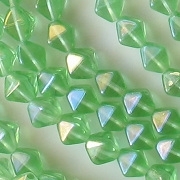 6mm bicone-shaped (a bicone is shaped like two pyramids joined at their bases, with the hole running through their centers). 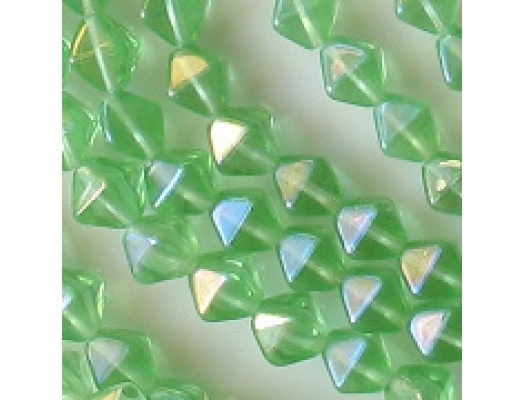 Translucent light green with an iris coating; iris coatings are lustrous with a little iridescence (that is, multiple colors). 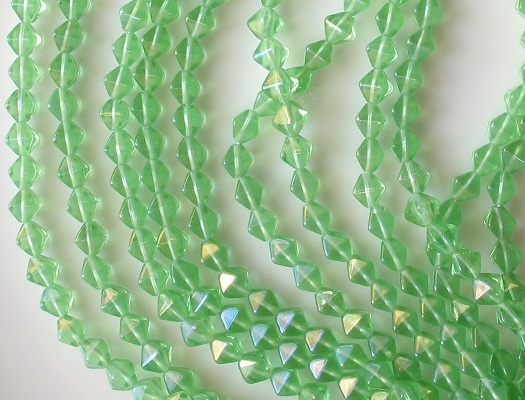 The supplier's picture showed beads with a colorful coating, but these beads turned out to be not very colorful; the iris coating is slightly silvery and even a little dull.